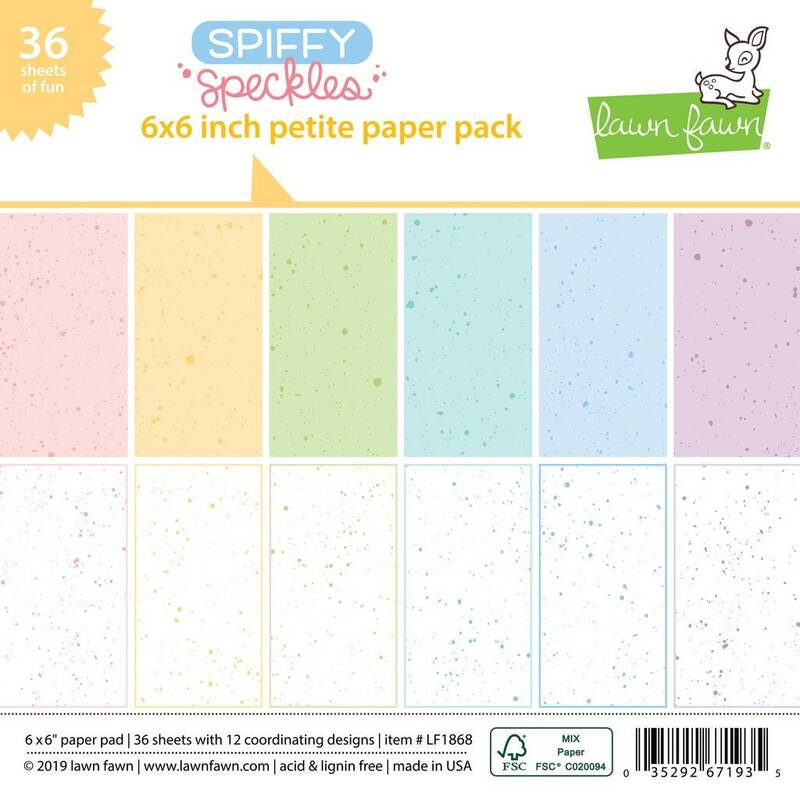 Spiff up your projects with the Spiffy Speckles 6" x 6" Petite Paper Pack from Lawn Fawn. There are 36 single sided sheets of pattern papers included that have 12 coordinating patterns. The papers are made in the USA and are acid and lignin free.